The 2004 Grand Millesime is a relatively rich, round and textured wine from Gosset. Dried pears, almonds, flowers, orange rind and spices are some of the many nuances that are woven together. Warm, rich and resonant, the 2004 is quite expressive today, especially in its bouquet.The 2004 is drinking beautifully today, and should continue to offer considerable pleasure over the next handful of years. 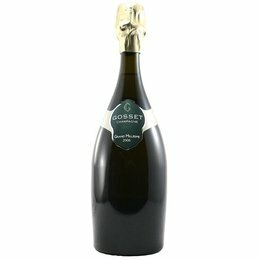 This is a slightly more oxidative style than is common in the Gosset range. Anticipated maturity: 2012-2017.